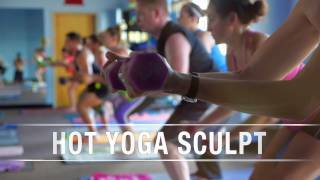 Blissful Spirits Hot Yoga is a Fitness Room, Point of Interest and Establishment, located in the vicinity of 4300 Paseo Del Norte Northeast, Albuquerque. I'm a yoga buff but never took hot yoga before coming to this studio, and ever since that's all the yoga i'm doing! It's really a great studio, wonderful teachers and beautiful design. Description: Blissful Spirits Hot Yoga is a Fitness Room, Point of Interest and Establishment, located in the vicinity of 4300 Paseo Del Norte Northeast, Albuquerque.